CUANY says its hill hiking also prompted call from New York Sen. Schumer to primary sponsor Sen. Udall of Colorado. 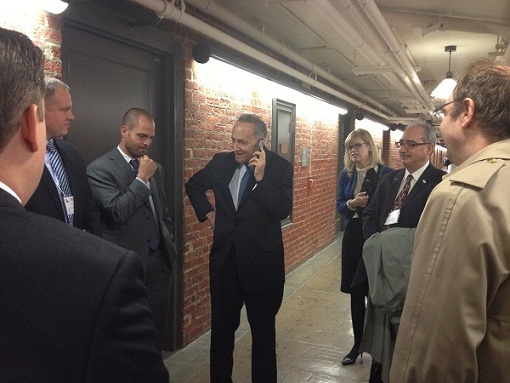 After meeting with credit union officials from New York and learning about recent developments in the effort to pass member business lending legislation, Sen. Chuck Schumer (D-N.Y.) immediately called bill sponsor Sen. Mark Udall (D-Colo.) for an update. New York credit union executives and their business account members scored another vote for member business lending legislation this week, when a contingency visiting Rep. Carolyn Maloney’s office got the Democrat to verbally pledge she would vote yes should the bill come to a vote during the lame duck session.